In 2003, conflict erupted in Sudan’s Darfur Region, resulting in over 300,000 deaths and displacing millions. The situation has weakened an already fragile healthcare system and compromised people’s access to basic health services. To this day, a lack of adequate medical services poses a major threat to the population – pregnant women and children are often hit the hardest. International Medical Corps has worked in Darfur since 2004. Our programs provide conflict-affected communities with health, nutrition and water, sanitation and hygiene (WASH) services. Since we arrived in Darfur, tribal conflict and inter-communal violence continue to harm civilians. The conflict also prevents the return of displaced people and keeps families apart. To address an acute lack of medical services, International Medical Corps supports the main hospital in Golo, a region in southern Darfur. 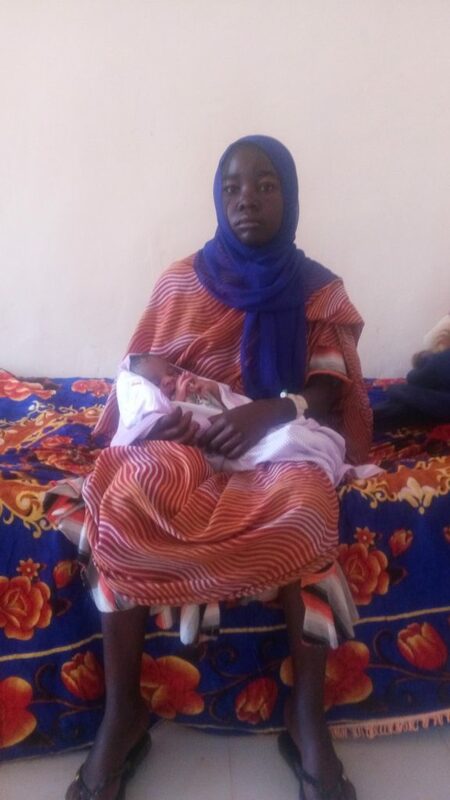 Recently, 23-year-old Edaba arrived to Golo; the young woman was already in labour when she arrived and having travelled by foot, she arrived severely dehydrated and with worryingly low blood pressure. Since Edaba had been experiencing labour pains for three days when she arrived to the hospital, the medical team determined that a normal delivery would put the life of mother and baby in jeopardy. A consultation was carried out and the mother agreed to go ahead with a caesarean. Later that day, Amel was delivered, weighing a healthy 3.6kg. Amal was the first baby in seven years to be delivered through a caesarean at the hospital. Surprising as it may sound, safe motherhood is not the reality for mothers and babies around the world. In places like Darfur, women still face uncertainty, risk and sometimes – even death due to complications related to pregnancy and childbirth. More than 830 women lose their lives each day from complications related to pregnancy and childbirth and the majority of these deaths are entirely preventable. To reduce the number of maternal deaths, International Medical Corps is on the ground in Darfur, providing equipment and training that addresses neonatal health management and maternal complications.